“The mind and heart cannot be demobilised as quickly as the platoon. On the contrary, like a fiery furnace at white heat, it takes a considerable time to cool.” | grow. learn. connect. 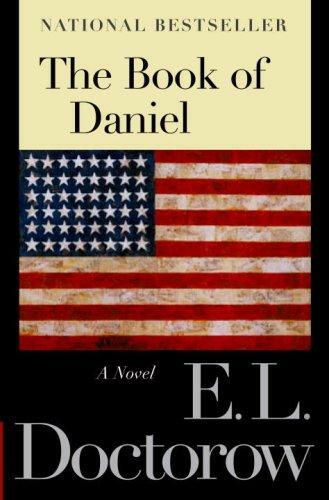 Despite a rave review from the New York Times upon publication, response to E.L. Doctorow’s The Book of Daniel in the monthly meeting of Central Library’s Brown Baggers was tepid to say the least. Based on the true story of Ethel and Julius Rosenberg, Doctorow’s novel focuses on a fictional counterpart family, the Isaacsons. The story is told from the point of view of Daniel Isaacson, their son, as he writes his own version of the events. The character of Daniel, as well as his sister Susan, are heavily involved in 1960s politics, which is used as a comparison to the Communist agendas of their parents. While the novel is nominally told via the character of Daniel, the narration isn’t quite that fluid. The Brown Baggers found that the story did not move smoothly. The book switches back and forth between first and third person and jumps time periods as well. The plotline also meant that while some of the writing was excellent (when members could follow it), it was necessarily a dark and depressing read. Some readers suggested Ragtime or Billy Bathgate as more enjoyable Doctorow reads. Our group did enjoy seeing how such a powerful event could influence the development of two children in the same family, but wished there would have been a few more unfolding details. One reader compared it to another book our group read, Richard Ford’s Canada. That novel also dealt with the son — and to a lesser extent the daughter — of two arrested parents and the son’s hastened passage into adulthood. We also noted that it seems to be a recent theme with the Brown Baggers to read books where characters reconstruct past events they could not possibly have witnessed in attempt to understand the motives of others in their lives — for example, American Pastoral or The Sense of An Ending. Join the Brown Baggers at Central Library next month as we read Mark Twain’s The Innocents Abroad, Thursday, July 17 at noon. Check out the rest of this year’s chosen titles on JMRL’s wiki.